Are you still looking to buy a Wii Console for the family this holiday season? If so, you'll want to check out this deal from Amazon. Through November 30th 11:59 PM Pacific Time, Amazon is offering a FREE $20 Amazon Gift Card with the purchase of a Nintendo Wii Console and you will receive Free Shipping! 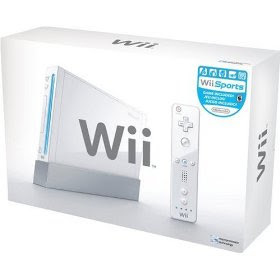 Check out with both the Wii Console and $20 Amazon.com Gift card in your cart to qualify. Must be sold and shipped by Amazon.com to qualify. The price of the gift card will be discounted during check out. *See rules and restrictions. Note: Limit one per customer per household. Promotional funds and/or gift certificates can not be used as full or partial payment.